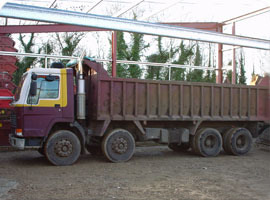 We can supply tipper truck and day work lorries or we are happy to provide contract muck away at very competitive prices. Additionally our recycled materials, when incorporated with muckaway on a return load basis, often make the task of back loading from our landfill sites both economical and efficient. All vehicles have a capacity of 20 tonnes and can be loaded using a standard reach JCB or equivalent.